Keep updated on all the latest by liking us on Facebook! 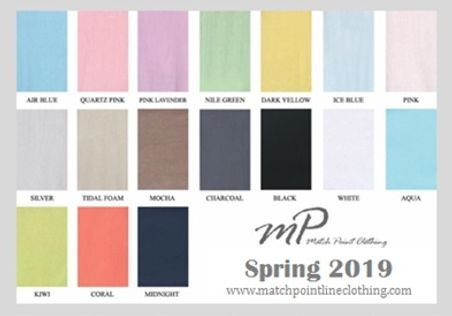 All Match Point garments are made from 100% natural source linen fabric that has special washing process garment dyeing. This process creates a sophisticated look that is easy and comfortable to wear. The slight color variations or minor slubs (color shading) are characteristics of the fabric, giving this garment its natural beauty and comfort. Please review our Return Policy under the Customer Service tab before making a purchase. Please note that this website is ran by the business, The Sweetheart Boutique and this is not the brand name Match Point website site. We love there clothing and so does our customer so we created this site to help everyone know what is out there to order from the company, along with what we have in stock in our webstore. 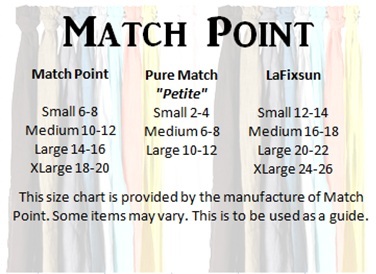 If you are looking to contact Match Point directly for orders or wholesale information, please look them up on the web, we can not help you in that department.